Paperback, 6 x 8.5 in. / 592 pgs. 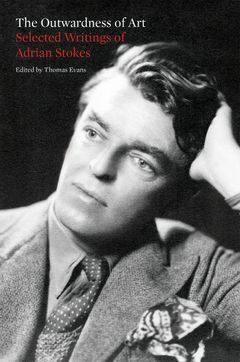 Immensely influential and beloved by artists, writers and theorists alike, Adrian Stokes (1902–72) was the last of the great British amateur art historians in the tradition of Ruskin and Berenson, and—as the first art theorist to synthesize aesthetics and psychoanalysis—the first of the moderns. Since the publication of his groundbreaking Faber books The Quattro Cento and Stones of Rimini in the 1930s, Stokes' writing has enjoyed an incredibly diverse readership across disciplines from psychoanalysis to literature and art, from Ernst Gombrich to Meyer Shapiro, Ben Nicholson to Philip Guston, Ezra Pound to John Ashbery. The singular breadth of his fan base reflects the diverse milieux in which he moved (whether the Bloomsbury of the Sitwells, Melanie Klein's London acolytes, Ezra Pound's circle or the St Ives artists). And yet it has been nearly 45 years since a broad introduction to his work was commercially available. In the wake of a recent biography, critical studies and reprints of individual volumes, this volume presents a substantial selection from Stokes’ published writings, highlighting him as a pioneering thinker of art and a virtuoso of the essay form. In 1972, the year of Stokes' death, the philosopher and art historian Richard Wollheim edited a selection of his writings, published by Penguin and titled The Image in Form. Wollheim’s selection drew from famous books such as The Quattro Cento, Stones of Rimini, Colour and Form, Inside Out, Smooth and Rough and others. This volume also draws on these classic texts (presenting entire essays and chapters rather than selections), and significantly expands the selection with the addition of important essays published posthumously and Stokes’ superb ballet writings of the 1920s. This book introduces one of the 20th century's great prose stylists and most nuanced aesthetic theorists for a new audience. FORMAT: Pbk, 6 x 8.5 in. / 592 pgs.